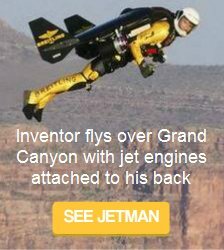 This page features recent inventions about future cars, electric cars, air car, skycar and flying cars. Sebastian Thrun, the director of the Artificial Intelligence Laboratory at Stanford University, is passionate about his desire to develop a self driving car. In 2004, Thrun heard about the Darpa Challenge by the Defense Advanced Research Projects Agency. DARPA invited participants to create a self driving vehicle that could navigate a 132 mile course through the harsh Nevada desert. Although there were numerous participants = there wasn't a winner. None of the entries successfully completed the course. In 2007, Thrun together with a team of engineers, programmers and designers from Stanford University entered their driver-less vehicle in the Challenge. Their vehicle not only finished the course but came in first and won $2 million in prize money for doing so. Today, with the sponsorship of Google, Thrun is closer to his goal of developing an intelligent car that could significantly reduce accidents. A fleet of modified Toyota Priuses have been driving themselves around California for the past couple of years. A noticeable feature on these vehicles is a 64-beam laser mounted on the roof. It generates measurements and detailed three-dimensional maps of the surroundings. Other sophisticated sensors include an array of radars and cameras for vision; gps, inertia detectors, and wheel encoders for orientation and motion. Software programs with high-resolution maps, utilize a robot hierarchy where data is collected and utilized in a decision making process to control the vehicle. These future cars can recognize and react to obstacles and traffic signs. They understand traffic laws and can evaluate and recognize traffic flow and driving conditions. An artificial intelligence learning algorithm also allows the vehicle to improve itself - to be more efficient, more accurate, quicker and so forth. It's a given that one cannot rule out drivers from being distracted, attention deficient, perceptively challenged or lacking in judgement when controlling their vehicles. Perhaps a perceptive, intelligent car focused on driving itself may be a plausible alternative to achieving efficiency and safety on our roadways. As Thrun says, "Most automotive deaths are due to human error, not machine error." See futuristic technology - Google Car. In the past hour, worldwide consumption of petroleum exceeded 100 million gallons. In the United States, there are 200,000 miles of pipeline, 170,000 gas stations and 243 million vehicles using petroleum fuels. Guy Nègre, a former aeronautics and formula one engineer is hoping to change all that. He has invented a compressed air technology for cars. Nègre is the founder and CEO of Motor Development International (MDI SA) based in Luxembourg, with research and development facilities in Nice, France. The AirPod is a small four-wheel mini-car that uses compressed air to move pistons in a 5.45 hp internal combustion engine. It has a range of 60 miles on a single tank of air and uses a small motor to compress outside air to keep the tank full. The compressor can operate on gasoline, diesel, biodiesel, ethanol or vegetable oil, but can also be plugged into an electrical outlet for recharging. With regular gasoline fueling the compressor, the Airpod averages an amazing 106 mpg with a range of 800 miles. With the demand for inexpensive, user friendly, ultra high mileage vehicles that have zero emissions related to global warming - the Airpod is getting a lot of attention. Air France and KLM airlines are using AirPods to transport passengers between arrival and departure gates at airports in Paris and Amsterdam. Automaker, Tata Motors has purchased the manufacturing rights for India. Zero Pollution Motors has purchased the rights for the U.S. market and beginning in 2011 expect to manufacture 8,000 vehicles a year in the United States. Licensing arrangements for other countries are currently in progress. Hailed as the future of high performance cars, this sleek two-seater sports car invented by Phil Bevan is powered by a 550 horse-power bio diesel engine. Top speed is 230 mph, 0-60 mph in under 4 seconds. But the Iceni is incredibly economical on fuel, which is virtually unheard of in a car with this speed. 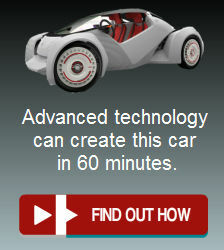 At a constant speed of 70 mph, you get 68.9 mpg. A fully fueled tank will give you a cruising range of about 2000 miles. It’s like having a Lamborghini without the cost or the damage to the environment. Approximately five hundred will be available for sale next year. With concerns about energy consumption and pollution, inventions that can reduce transportation costs are extremely popular. The award winning Zenn (Zero-Emmissions-No-Noise) is one of those inventions that is gaining in popularity, especially in the United States and Europe. The car operates on electricity and plugs into a regular wall socket for charging. It costs an average of 35 cents to fully charge the vehicle. It has zero emissions, no noise (no exaggeration - you'll hear more noise in a library) and costs pennies per mile to operate. The car is built on an aluminum-alloy chassis with ABS plastic exterior panels that are rustproof and dent resistant. There is minimal maintenance because there are minimal parts. The three-door hatchback comes with air conditioning, power windows, power locks, remote key-less entry, wipers, defrost, heater, sunroof and 13 cubic feet of storage space. Gilo Cardozo, a self-taught aviation engineer, inventor and founder of British-based Parajet has created a two-seat flying car. The Skycar is powered by a modified 1000cc, four cylinder, 140hp, ethanol burning, Yamaha R1 superbike engine with a lightweight automatic CVT(continuously variable transmission) gear-box. It has independent four wheel suspension and rear wheel drive. Road acceleration is 0-60 mph in 4.5 seconds with a top speed of 110 mph. To convert to flight mode, the driver unfolds a para-foil wing from the trunk (boot) and attaches it to the rear of the car. He then flips a switch to change the transmission from road mode, which powers the wheels, to flight mode, which powers the rear fan. Converting from “road mode” to “fly mode” and visa-verse takes about three minutes thanks to the flexible wing technology invented by Mike Campbell Jones, of Paramania Powergliders. The fan’s thrust propels the car forward, providing lift for the wing as the car reaches a takeoff speed of 35 mph. Once airborne, foot pedals move cables attached to the parafoil to direct the flight path. Top air speed is 100 mph at altitudes of 2000 to 3000 feet. Maximum altitude is 15,000 ft. with a range of 180 miles. The Skycar is also equipped with an roof-mounted ballistic parachute for emergencies. Potential buyers will require a powered parachute license, rather than a pilots license, to fly a Skycar and the British government has approved the vehicle as street legal. One of Dr. Paul Moller's recent inventions is a vertical take-off and landing (VTOL) skycar. It uses a propulsion system to lift and stabilize itself in the air and can also be driven on the ground. There are eight small directional ducted fans each powered by a rotary engine. Using multiple inertial sensors and accelerometers, a computer monitors and adjusts thrust in each fan as often as 400 times per second to maintain stability and flight.